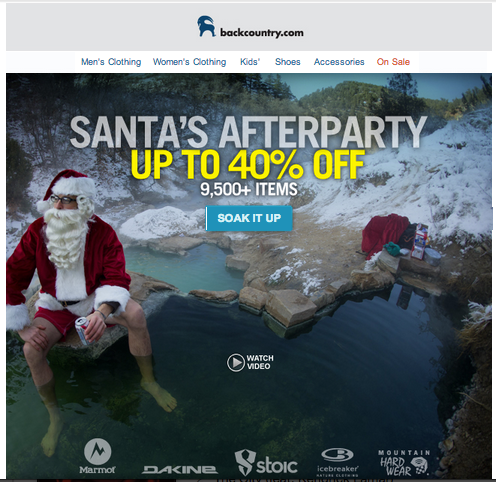 In the most recent blog post of this series, we talked about how to boost sales using Christmas newsletters. 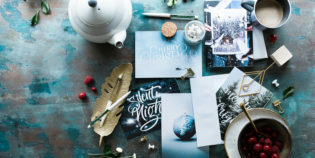 From design inspiration to email promo ideas, we gave away our most successful tips and tricks on how to plan your Christmas email campaign. But if you think December 24th is the last day of 2012 to click the “Send“ button in your GetResponse account, you’ll definitely miss out on one of the busiest online shopping periods of the year. Why send emails on December 26th? There’s lots of money left on the table by potential buyers, but there may also be hundreds or thousands of subscribers you acquired just before Christmas. 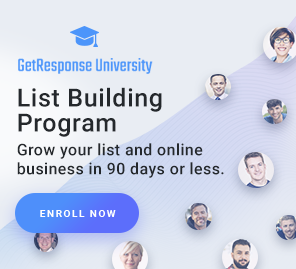 Last-minute list-building methods can be really effective, especially if you capture customers on dedicated landing pages. But what about those who didn’t purchase anything before December 24th and might be still interested in your offer? Now add all those shoppers who didn’t exactly receive their dream gifts this Christmas and want to comfort themselves by buying new gifts online, and you’ll have a massive opportunity to boost your sales with effective newsletters! Stock clearances. Your customers are smart enough to know that the last week of the year usually means huge discounts and “last items in stock” promos. They’ll be looking for huge discounts, promo codes and vouchers in your emails, so make sure you cater to them. Limited-time offers. The decision-making process is always emotional and can be motivated by fear of loss. Tell your subscribers that if they don’t purchase your items by December 31st, they’ll miss a huge opportunity. Better yet, hint that after January 1st, you might be increasing prices, so it’s either buy now or lose money. „Santa Didn’t Bring What You Wanted? 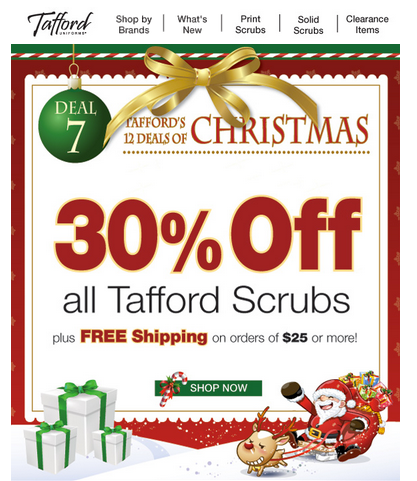 We Can Fix That…“ – subject line of a Trafford’s email from Dec. 26th. Free time. As trivial as it seems, people finally have free time during the Holiday period. So they go online to spend their money and kill time. 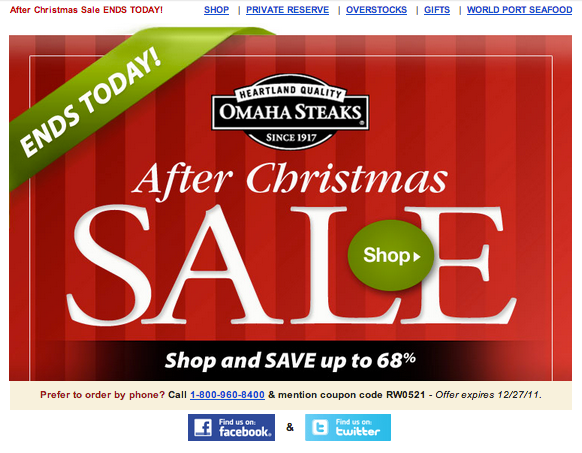 Hence the huge website traffic on December 26th, with so many potential buyers looking around for promos. Target this audience with a mobile-friendly email, so they can leave money with your store without leaving the dinner table during a family get together. Extra cash. Teenage consumers often receive cash instead of gifts from their parents. Those young buyers go online right after Christmas with a great urge to spend it and get rid of the burden. Again, make sure you reach them through a mobile-friendly email, since they most likely browse the web on smartphones. 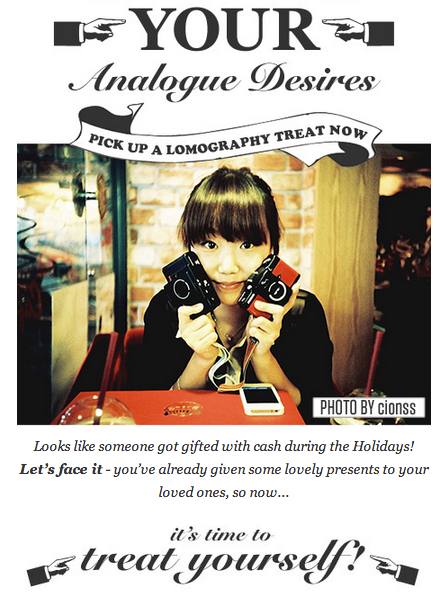 „Looks like someone got gifted cash during the Holidays!“ – a smart tactic of using the „treat yourself after Christmas“ approach in a Lomography.com newsletter. How to sell after Christmas? Always optimize the emails for mobile devices. Emails are read over the dinner table, on the couch or even during a family get-together. Don’t complicate the shopping experience. Instead, give people a hassle-free way to click-through from the email to your store. Here’s our webinar on how to do it. Say “thank you.” Send a “thank you” email to those subscribers who purchased from you before Christmas. Include accessories, cross-sell item or any other products related to their original purchase to increase the number of orders and deliver relevant shopping ideas. Nurture new leads. To keep all your leads “hot,” send a series of content-based follow-up emails, even if they didn’t purchase from you during the Christmas season. 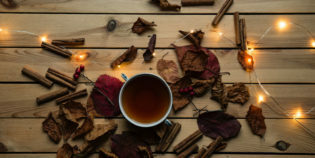 Most companies fail to effectively follow up after the Holiday, and fresh subscribers forget these brands right after they finish their Christmas dinner. Use GetResponse autoresponders to automate that process. Segment your way to success. Make sure you know who became a customer and who didn’t even open any of your Christmas emails. GetResponse segmentation tracks all of this data and helps you create groups of engaged subscribers, so you can market to them after the Holiday period. Others can receive a reactivation email including a discount code to stimulate activity. Don’t overdo the Christmas carols! There’s nothing more irritating than hearing Christmas carols in a shopping mall a week after the Holiday. Overdoing the “Christmas atmosphere” and going overboard with your sales pitch can make people click the unsubscribe link and leave your mailing list. Fine-tune your frequency and observe the number of unsubscribes in the Email Analytics section of your GetResponse account. Good luck with your next post-Christmas email promo! 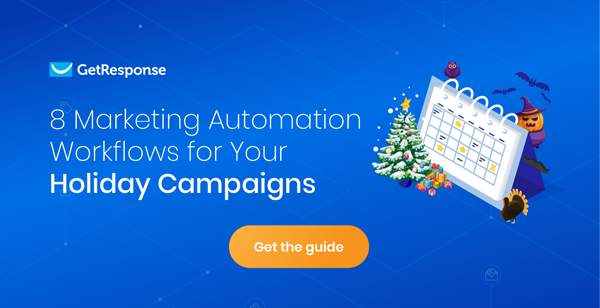 And if you need any help in identifying key dates or important objectives in a successful Holiday Email Marketing Campaign, make sure that you check out our Holiday Guide, which has all the tips and tricks you will need to begin!